The Natural Orange Blossom Flavoring is essential in pastry making. Biscuits and cakes in love and the perfect harmony between the Natural Flavoring Orange Blossom and the Flavors Vanilla, Strawberry or Chocolate goes without saying. Butter brooches, French fougasses, French madeleines, regional crunchies, but also a fragrant entremet, egg cream, crème brûlée, invert cream or Chantilly cream, rice pudding, taboulé or polenta sweetened with red fruits, macarons. 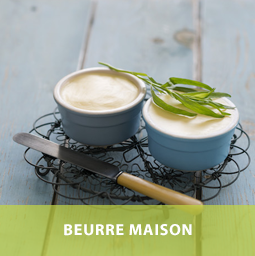 It is possible to associate the Natural Flavoring Orange Blossom with fresh fruit tarts or salads, with creamy and milky desserts, mousses, homemade yoghurts, fresh Natural cheese, Vanilla or Strawberry Flavored milk the Natural Flavoring Orange Blossom. Other examples? Fresh Orange Citrus salad with Orange blossom, cat tongues, french toast, dried and candied fruit cakes, marzipan, donuts. As for the salty preparations, it is noted that the Natural Flavoring Orange Blossom marries perfectly with vegetables whose flesh is almost sweet, like carrots, Bananas or sweet potatoes. To prepare puree or gratin, delicately enhanced of a creamy cheese type ricotta or mozzarella and a pinch of cumin or saffron. 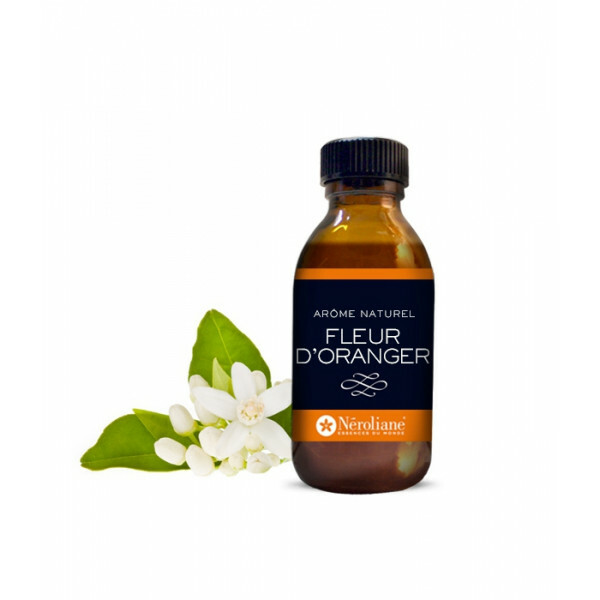 And why not try this Natural Orange Blossom Flavoring in fish dishes or seafood and combine it with hot spices like cinnamon or ginger, or in fried poultry with fresh spices such as pepper or chilli pepper ? The classic duck breast with Orange is sublimated when you add a hint of this Natural Flavor! Salt dishes: excellent combination between the Natural Flavoring Orange Blossom and the Natural Cinnamon Flavor, the Natural Flavoring Lemon or Natural Flavoring Honey. Create a surprise by marrying Orange Blossom (a few drops) and essential oil of Lemon or essential oils of Pink Berries (one drop only for a dish of 4/6 people). 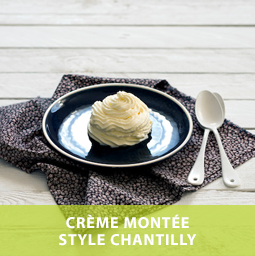 Desserts: Innovate by combining the Natural Orange Blossom Flavor with the Natural Rose Flavor, the Mimosa Natural Flavoring or return to the classics with the Natural White Rum Flavor. And finally, remember that the Natural Flavoring Orange Blossom is the partner of Lemon essential oil or Grapefruit essential oil. Suggestion of use : from 1 drop per plate to 1 coffee spoon of Orange Blossom Natural Flavoring per preparation liter. Those few drop should be enough to reveal the full taste of Orange Blossom.